A number of prominent reformist politicians have been disqualified from running in Tehran's City Council election despite being previously approved by the election monitoring committee. The list of candidates who were not included on the committee's official list, issued on May 10-nine days before the vote-include Abdollah Momeni, Ali Tajernia, and Nasrin Vaziri, who was imprisoned for supporting the widespread, peaceful protests against the 2009 election's vote count. The monitoring committee also disqualified the only Sunni Muslim candidate running in Tehran. Kurdish-Iranian reformist politician Marouf Samadi served two terms in Parliament representing the people of Sanandaj, the capital of Kurdistan Province. Just before the final list was announced, Momeni, a former student activist who spent two years in prison for supporting the 2009 protests said: "Based on reports, it appears that in recent days certain security and military forces expressed concern that if I received votes in Tehran, that would send a (wrong) political message," he said in a statement on May 10. 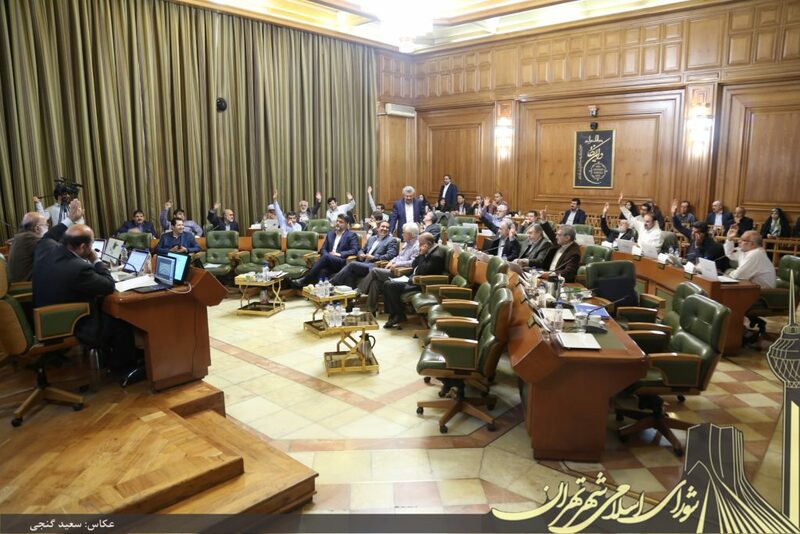 "And therefore they pressured the council elections' central monitoring board and the monitoring board in Tehran to disqualify me and other legitimate candidates without regard for the law," he added. Momeni also posted an image of a document showing he was initially approved to run and called on President Hassan Rouhani to investigate his dismissal as a "blatant violation of the law." Article 17 of the Charter on Citizens' Rights, signed by Rouhani in December 2016, states, "Decisions, measures or statements of governmental officials, administrative and supervisory authorities of elections, military, police, and security officials, prior to election, in the course of considering the qualifications of election candidates, and after elections shall be completely transparent, unbiased and in compliance with the law, in such manner that even the suspicion of electoral fraud or violation, or support for certain candidate(s) cannot arise." The head of the prosecutor's office in Tehran, Gholamhossein Esmaili, explained in an interview with the judiciary's official news agency, Mizan, on May 10 why he opposed some of the candidates. "We were informed that some candidates had been approved despite having prior convictions, including those who had received heavy sentences for security crimes. This would damage the integrity of the councils," he said. The disqualified candidates he was referring to were prosecuted for their political views without access to due process. Vaziri was a journalist for the semi-official Iranian Labor News Agency (ILNA) when she was arrested in December 2009 for reporting on the protests that year. Tajernia, who served as a reformist member of Parliament from 2000-04, was arrested in June 2009 and sentenced to five years in prison and 74 lashes for disputing the legitimacy of that year's presidential election, but was granted conditional release in January 2011. "As the official in charge of the legal department, I have been coordinating with my colleagues and we will not permit those who have a history of corruption and sedition to participate in the elections," said Farhad Tajarri, a conservative spokesman for the Council Elections' Central Monitoring Board, on May 6. Iranian officials have consistently referred to the widespread, peaceful protests that followed the disputed 2009 presidential election as the "sedition." According to the head of the board in Tehran, Ali Asghar Ahmadi, about 14,500 people who had registered to become candidates in the council elections were disqualified by the election boards. On May 19, more than 280,000 people, including nearly 18,000 women, will be running for seats in local councils in 1,245 cities, 1,057 counties and 2,589 villages.